January is either the worst time to release a new line of ice cream flavors (it’s frickin’ cold!) or the best (we’re frickin’ bored!) To kick off the new year, Ben & Jerry’s is going with the latter. 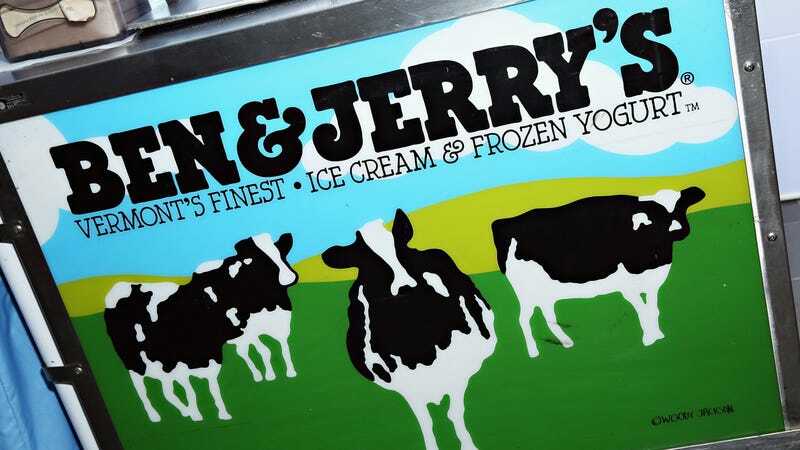 After so many years of churning out rich, progressively minded pints of ice cream, it seems that inspired dessert factory created by Ben and Jerry has no intention of slowing down. First off, for the ice-cream fan on the go, the Ben & Jerry’s Pint Slices line gets a few new flavors, with the additions of longtime classic Cherry Garcia in this new format; Tonight Dough, the Jimmy Fallon-inspired concoction that’s one of the most successful celebrity B&J ice cream creations since, well, Cherry Garcia; and Coffee, Coffee BuzzBuzzBuzz, for those who would like a bit of caffeine with their sugar treat. Actually, those people need look no further than to one of the three new selections in Ben & Jerry’s Truffles lineup: Chillin’ The Roast is based in cold-brew coffee ice cream, adding chocolate cookie-covered coffee liqueur truffles and fudge swirls. The other two selections finds B&J solidly committing to its chocoholic base, with Chocolate Shake It, based in chocolate malt milkshake ice cream with chocolate cookie-covered fudge truffles and marshmallow swirls, and Caramel Chocolate Cheesecake, caramel chocolate ice cream with graham cracker-covered cheesecake truffles and chocolate cookie swirls. If you’re wondering whether your new B&J truffle ice cream may in fact have too many accessories, well, apparently they never heard of such a thing. Finally, for the lactose-intolerant among us, Ben & Jerry’s dairy-free line almond-milk-based line now offers Peanut Butter Half Baked Chocolate (peanut butter with fudge brownies and peanut butter cookie dough) and Cinnamon Buns (cinnamon with cinnamon bun dough and cinnamon streusel swirl). Looks like there are options aplenty for the gourmet-minded Ben & Jerry fan this season, necessitating the need to plow through a multitude of $5 pints of ice cream even in the wintertime.